PEOPLE ARE FINALLY REALIZING THAT LOOKING AFTER THE BODY, MIND AND SOUL IS ESSENTIAL TO LIVING A LONGER, HAPPIER LIFE. PILATES IS SPEARHEADING THIS FITNESS FUSION FOR ALL AGES AND STAGES.. The public’s approach to health and fitness is constantly changing. Today, people are becoming more in tune with their bodies and want an all-encompassing method of exercise to meet their varying needs. Whether your desire is to sculpt a toned physique, prevent injury for athletics, increase overall strength, relieve stress, or get back in shape after the holidays – Pilates is for you. Pilates is leading the fitness frontier as the ideal form of exercise to facilitate the mind-body connection for everyone. The Sporting Goods Manufacturing Association reports that there was a 602% increase in Pilates participants in the USA between 2000 and 2006. The appeal of Pilates for the average person, or newcomer to fitness, is that there are various programming options. Specific repertoires are available for sports fanatics who want to build core strength and improve their golf drive; elite athletes who want to prevent or attend to injuries; rehab and prenatal clients who want to enhance their fitness ability; new moms who want to get their pre-baby shape back; and mature adults who simply want to make getting out of bed easier. Every exerciser from school-aged kids to the active adult can reap the benefits of this form of exercise – and at the same time get a good workout. 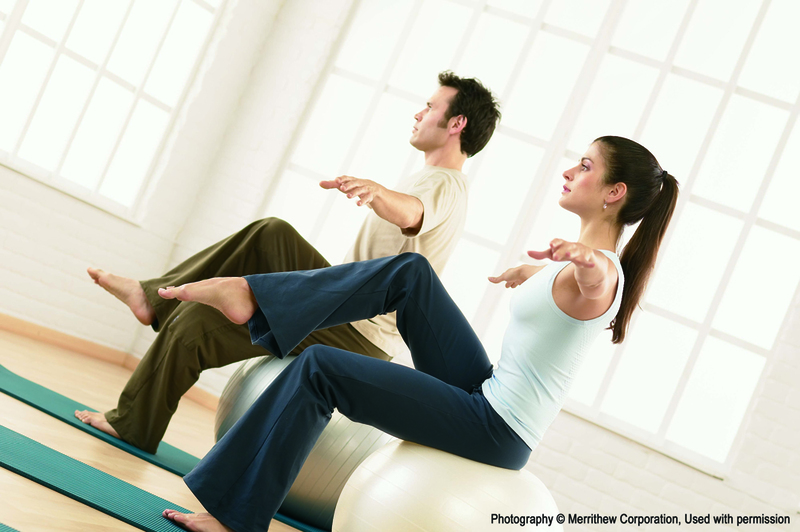 Many men are also incorporating Pilates into their athletic training. Pilates was still a relatively unknown method of exercise when the Merrithews first opened their Toronto studio back in 1987. Lindsay constructed Moira’s first piece of Pilates equipment called a “Reformer” out of sheer necessity. This machine was at first constructed out of wood, but soon Lindsay decided to design one made out of metal in order to accommodate adjustability issues among clients with differing needs. “We thought of creating a Reformer that had adjustability to suit the user and that was both ergonomically and esthetically appealing,” explains Lindsay. They wanted to build a better “mousetrap” and so they did. The Reformer is generally the first piece of equipment that Pilates instructors and enthusiasts gravitate toward for a stellar, body-sculpting workout. This machine is unlike the typical Stair Climber, Bike, or Treadmill – it’s designed to leverage specific Pilates movements to improve the overall mind and body connection. It also helps develop lean muscles overall, without adding bulk. 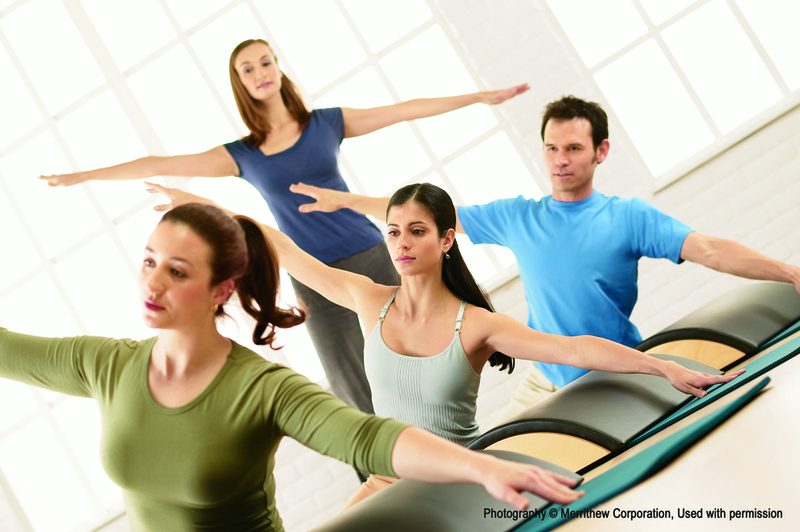 Today, Pilates enthusiasts can use Matwork and/or equipmentbased Pilates programming to fulfill their health and fitness goals – and as a result, more and more facilities are implementing high-quality equipment and training into their locations to fulfill their unique needs. So remember, Pilates is for everyone. It’s a kinder, gentler exercise for your body with all of the benefits of strength training. No matter what age, ability or goal – those interested in enhancing their health, fitness, and lifestyle in general, are sure to enjoy what this method of exercise has to offer.